The tartan jeans are a new purchase from Boohoo, but they fit this genre amazingly. I teamed with a Fred Perry Polo Shirt, braces and short Dr Martens. I know this is quite a boyish look but for my figure it works, I was comfy and got lots of great feed back! If you're not a fan of the skin head, boyish look, then tartan can be worn a variety of ways to be in with the fashion, but not following the trend! I'm certainly one for doing what I want, and wearing what I fancy! 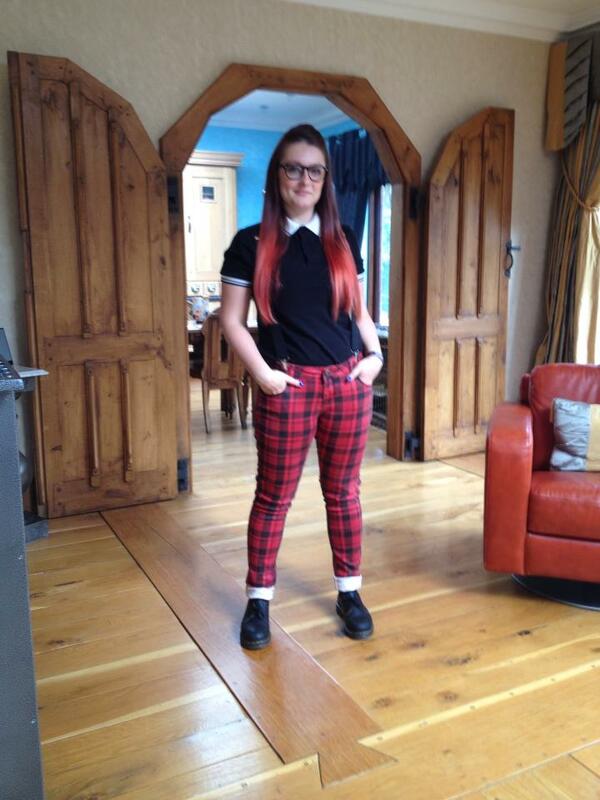 Here I have used tartan in a geek, school girl fashion. These dungarees are also from BooHoo, and are teamed with the same Fred Perry Polo Shirt, but with tights and Nike Blazers. The plaits and my super geeky glasses add to the look! I have lots more tartan delights in my wardrobe including a jumpsuit, with black bottoms and tartan top that I team with Jeffery Campbells, and a tartan shirt that I use as part of my skin head fascination with black skinny jeans, braces and Dr Martens. How do you style your tartan? Would you like to guest post on www.georginadoes.co.uk ? I'm looking for posts just like this to keep my blog up to date while I'm super busy moving!! 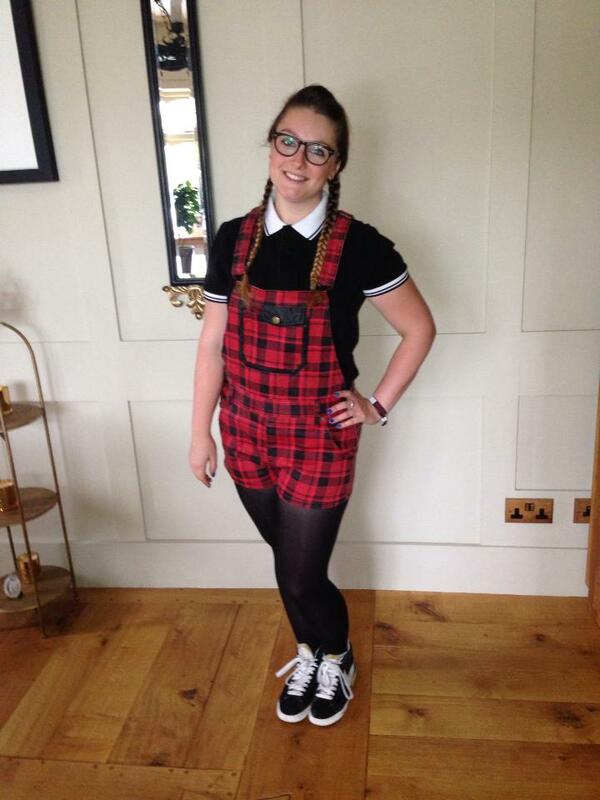 I love those tartan dungarees!